Trading card set with 250 base cards (200 veterans and 50 rated rookies). Possible rookie cards of Towns, Russell, Okafor, Porzingis & others. look for 1 autograph or memorabilia card per box, on average! 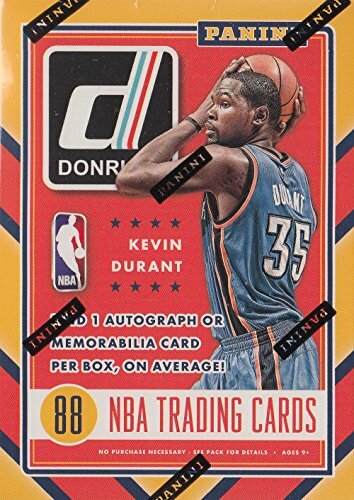 look for randomly inserted inserts including Holo Parallels, Die-Cuts, Press Proofs, Elite Series & more! If you have any questions about this product by Panini America, Inc. (Retail), contact us by completing and submitting the form below. If you are looking for a specif part number, please include it with your message. MICHAEL JORDAN 1986 FLEER WCG GEM MT-10 23KT GOLD ROOKIE CARD! RARE BLUE BORDER!